As we get older, there are more and more responsibilities that get in the way of practicing. 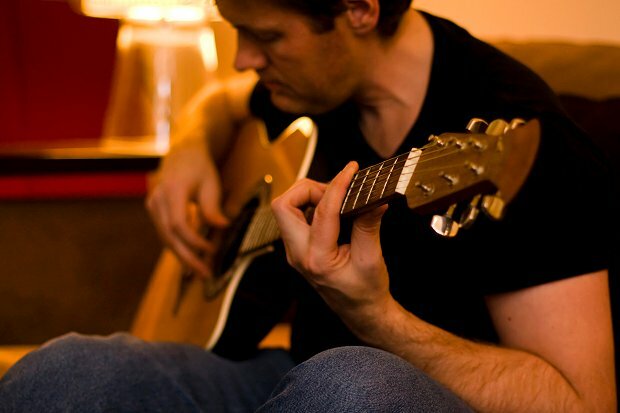 For most adults, the 10-hour days spent glued to your instrument are long gone. I've encountered the same issue and have thus tried to really streamline my practice. In doing so, I've found (or have been shown) some really great methods to maximize efficiency in the practice room. Note that many of these tips will be twice as effective if you're also working with a private instructor. If you can't afford it, there are many organizations that offer scholarships to those who want a tutor. I highly recommend trying to find a way to get lessons. No matter what the subject is, having a plan of action is the key to efficient progress and productivity. Practicing an instrument is no different. Keep a record of what the weak areas of your playing are. (If you're unsure about where you're weak, see my second point.) Your primary focus should be on addressing these weak areas until they're no longer weaker. That's improvement, right? But take it a step beyond that. If you know what you need to work on, keep a list of the songs and exercises that are going to help you the most, and make a detailed plan every day about what specifically you'll be doing. As far as your practicing goes, try to have both long-term and short-term plans. First, set your ultimate goals. Where do you want to be a year from now? Five years? From there, you can make weekly or monthly goals that will serve as stepping stones to reach your primary goal. Then, set daily goals to help you reach those weekly/monthly goals. Even if you aren't able to do as much as is on your plan, as long as you're taking steps towards your goals every day, you'll reach them. The microphone tells no lies. Recording your practice is essential, as it allows you to see and hear any weak spots in your playing loud and clear. It's especially essential if you aren't studying with and getting feedback from a private teacher, as this will basically let you see yourself from an outside perspective. Recording yourself is also a wonderful way to keep track of your progress. I tend to record the things that I’m working on once a week, so that I can see the progress I've made over the week and adjust my goals for the following week. After a while, you'll have long log of practice time, and going back to listen to old recordings can be very inspiring, as you'll get to see just how far you've come. While audio is great, video is even better. If you have a webcam on your computer, this whole process can be quite easy. Taking video will allow you to hear and see any issues with your technique. Try it out! Consistency is the key to lasting progress. It's much more effective to practice 30 minutes every day rather than 2 hours every other day. This consistency will not only allow you to retain information better, but will also keep your technique from dropping below its full potential. Again, I can't stress enough that consistency is the key. Let me run you through a few scenarios: First, say you have 30 minutes to practice during the week, but two hours on the weekends. Even if that's the case, stick to 30 minutes. Rapidly increasing your practice time, especially by that large of an amount at once, will put a ton of stress on your body and could lead to performance injury. Your mind also won't be used to focusing for that long, and you'll probably have trouble keeping up that high focus for very much of that time period. Second, let's imagine that you're sticking to 30 minutes a day, every day. However, on Tuesday, you only end up practicing 15 minutes, and decide to add that onto Wednesday's practice. But then, you miss practice altogether on Wednesday, and decide to add that time onto Thursday for a total of 75 minutes. Practicing this way is a straight path to performance injury, and I absolutely advocate against it. Life happens, and if you have to miss a day of practice, then you have to miss a day. Oh well. But if you find yourself consistently missing practice days, you may have a daily goal that's too ambitious, and you might need to reduce your daily practice time to better suit your schedule. If you aren't warming up, you're missing out. Many players reach a point where they choose to forgo warming up. However, just like even professional athletes take time to stretch, it's essential that you give you hands a stretch prior to heavy activity. If you don't typically warm up before you practice, try it out for a week. Even something as simple as running a couple of scales to a metronome will do the trick. I assure you that will be playing better, simply because your hands have woken up. This is one of the easiest ways to be your own private teacher. A mirror is instant visual feedback and will allow you to check on your practice posture and see any glaring issues in your technique. If you don't have the means to take video recordings of yourself or aren't recording yourself every day, then practicing in front of a mirror will do the job. It doesn't necessarily need to be a mirror, as long as it shows you a reflection. I've used large, reflective screens and webcams in a pinch. Give it a shot, and see if you notice any technical issues in your posture or playing. If you aren't applying concepts to real world scenarios, you aren't going to be able to retain or use the information. As soon as you have that new scale, chord voicing, or lead lick in your fingers, pick a song and start using it. Sometimes when I learn a new chord, I'll try to play an entire song using only variations on the shape I'm working on. Or I'll work with a backing track to practice exercises, or improvisation using the scale that I just learned. This is also a great way to learn new songs. Once you know a song well enough, try to pick something new to apply concepts to. This will allow you to get to know the song at a pretty deep level, and once you do, you can move onto more tunes. Rehearsals are great places to try out new concepts (unless you're involved in an important/big budget production where mistakes could cost you your job), as you'll be able to see if you know them well enough to apply them on the fly. If the rehearsal is casual enough, you can also ask your bandmates for feedback regarding your new technique. They may even want to learn it from you! In addition to my regular practice routine, I've recently started practicing through visualization as well. I often find myself with idle moments during the day when waiting for the bus or friends or sitting between classes. I've been taking this time to mentally run through new songs or run over new concepts in my mind. (It may sound crazy, but it's been scientifically proven that mental practice is actually extremely effective, and really does make you better!) This is also a good time to run through music theory concepts; reciting the circle of fifths or spelling chords in your head is a great way to check your comprehension. You have to have a pretty vivid imagination to make this work, but I encourage you to give it a try! If you take nothing else from this article, this is the big point I want to drive home: slow down! It's far more difficult to play slowly than it is to play fast, and practicing things slowly will really drive in the information and muscle memory, thus allowing you to play quickly, but also accurately. Did I just tell you to practice slowly if you want to play fast? You bet I did. Establish your "perfect tempo." This is the speed at which you can play what you're working on cleanly without mistakes. If you can't do so, then you're going too fast. The more you play slowly, the better your time feel will get, and the more precision you'll develop. And it's precision, rather than speed, that will typically get you hired.